On Thursday, New York City Councilmembers discussed problems related to food insecurity among low-income New Yorkers, especially students. 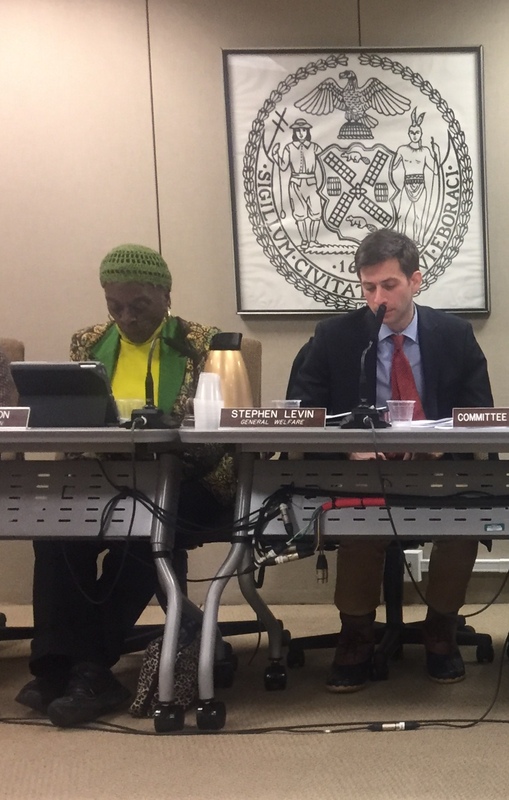 The Committee on General Welfare, chaired by Council Member Stephen Levin, together with the Committee on Higher Education, chaired by Council Member Inez Barron, conducted the oversight hearing to examine the issue of hunger in New York City. 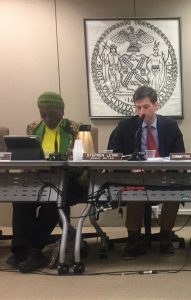 Representatives from the Human Resources Administration (HRA), the Mayor’s Office of Food Policy, the City University of New York (CUNY), as well as anti-hunger and higher education advocates, emergency food providers and other interested parties had been invited to testify. Councilmembers Inez Barron and Stephen Levin, leading discussion on hunger in New York City. Credit: María Venegas. The latest New York City reports indicate that 43.5 percent of NYC residents were living at or near poverty in 2016. 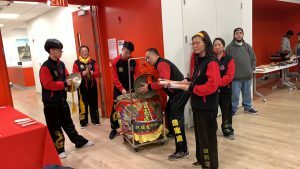 The City University of New York has also implemented food programs for students who are at risk of dropping out because of their financial situation. 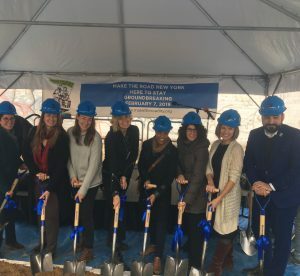 “Hunger decreases your levels of concentration, it causes headaches, and general fatigue, and students that are in this predicament, tend to perform at lower levels than student who are food-secured,” said Jessica Chait, managing director for food programs at the Metropolitan Council on Jewish Poverty. City officials have said that the stigma associated with getting free meals should not prevent needy students from receiving assistance. To avoid the embarrassment that this situation may cause, city officials have proposed the use of vending machines, which students can use to purchase food items with a card. The City University of New York has implemented programs to help low-income students to get food to take home. CUNY has done so at different colleges, such as John Jay and the Borough of Manhattan Community College. “But a lot more is still to be done,” said Councilmember Stephen Levin. Gale Brewer spent her morning and afternoon going to events, supporting the communities that help New York move forward. 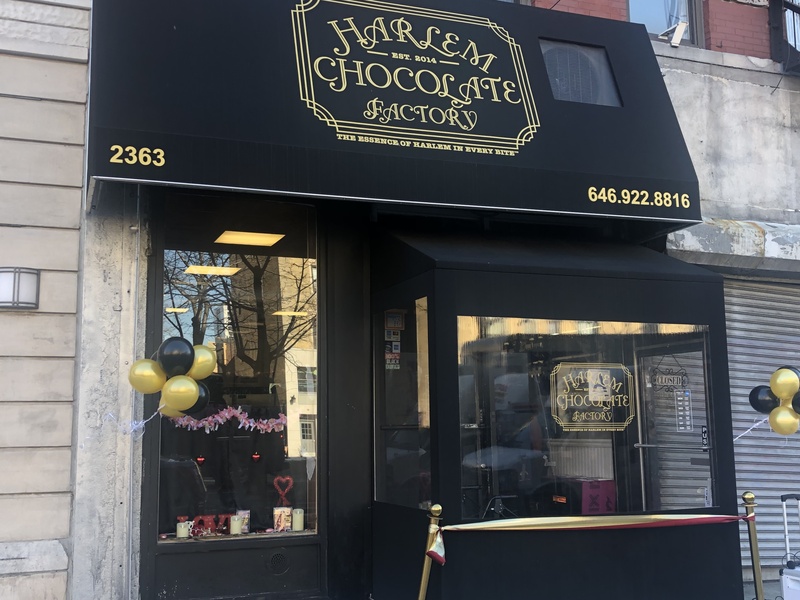 Her morning started off at the Harlem Chocolate Factory, a black-owned business, and there she congratulated Jessica Spaulding on the occasion of her grand opening. Self-taught culinarian, Spaulding grew up with a passion for baking and especially for chocolates. She had dreams of one day owning her own business, doing what she loves most. 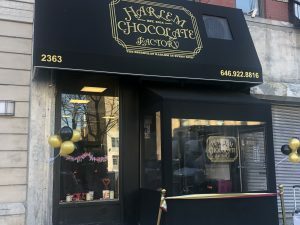 The New Harlem Chocolate Factory. Credit: Jada May. Brewer spoke about Spaulding and her business, showing support for Spaulding and other small business owners trying to make it in a world with big corporations. 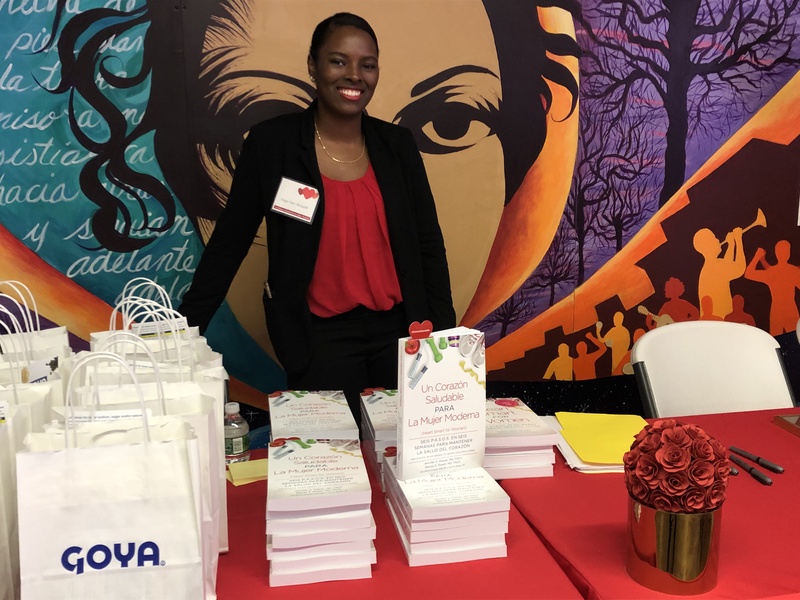 The next event Brewer attended in Harlem was a book launch at the Julia De Burgos Latino Cultural Center. Brewer gave the authors of the book about health, Jennifer Mieres and Stacey Rosen, a Proclamation for Heart Health. The proclamation honored the women for their work bringing awareness of health issues to a community with many needs. The New York based doctors and authors, Mieres and Rosen, published a book to bring awareness of heart disease to a hoped-for readership of women. A community resident helping to sell copies of “Un Corazón Saludable Para La Mujer Moderna.” The book makes Latino women aware of heart issues. It is also in English. Credit: Jada May. The expectation is that, at least in a progressive New York City, language won’t be a barrier for better health, notably in the Latino community. The book talks about knowing the symptoms of a heart attack, about the importance of wisdom in making food choices, about knowing the benefits of working out, and so on. There with the doctors was retired anchor Jorge Ramos of Telemundo 47, with his wife Yolanda Ramos, who shared a moving story about her life-threatening heart attack, and the changes she made to live a healthier life. Leaving the joyful event, women seemed to have been encouraged to make better choices, not only for themselves but for those they love in their lives. Moments after leaving an event in Brooklyn this morning, Mayor Bill de Blasio was hit with the bombshell news that Amazon was stepping away from plans to build its headquarters in New York City, specifically, Long Island City in Queens. The deal, which would have generated thousands of jobs for New Yorkers, came from seemingly out of nowhere and left many in New York City stunned and even angered, but none more than the mayor himself. 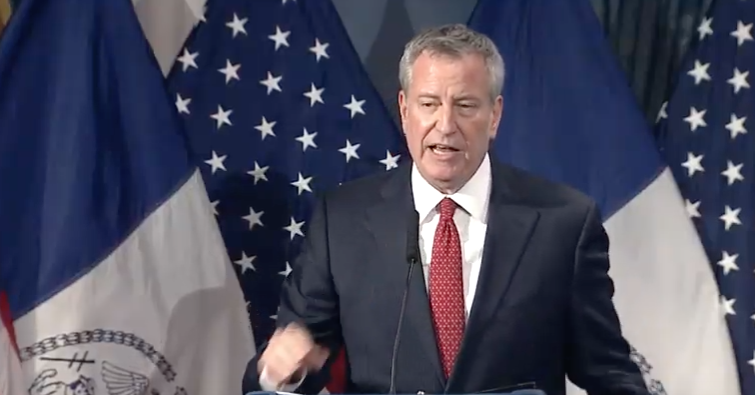 “You have to be tough to make it in New York City,” the mayor said in a press release later on Thursday. This is a major blow for the City of New York, taking away thousands of promised jobs. Given the backlash, Amazon’s decision is serving as a brutal breakup for many in New York politics, a breakup that came on Valentine’s Day. On Thursday, the Citizens Housing & Planning Council hosted an event titled “Housing Innovation Lab: Basements” in Manhattan, on Park Avenue. 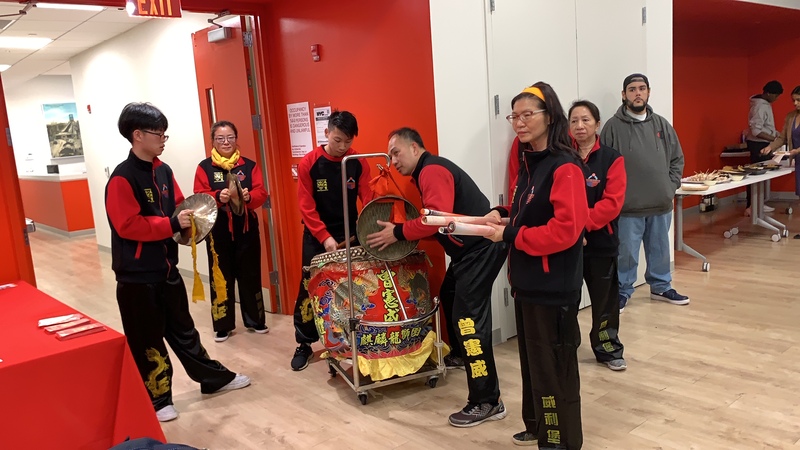 The purpose of the event was to “explore cutting-edge ideas, technologies, and practices that can enhance quality of life and safety in basement apartments,” according to the event’s program. 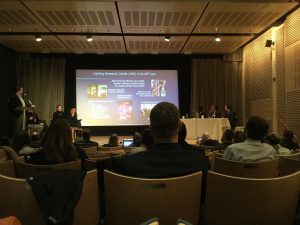 Experts and enthusiasts alike gathered to present and discuss solutions to the many problems that arise with living in a basement apartment in New York City. Among the topics touched upon were lighting, ventilation/air quality, fire safety, and habitability. Much of the discussion was technical, as shown here. Photo credit: Shanika Carlies. “Artificial windows and electric lights can be a solution to meet visual and biological needs,” said Jennifer Brons, research scientist and adjunct professor of architecture at the Lighting Research Center (LRC). Brons showcased her expertise, notably in the ways that light can be made to enter a basement area, allowing a person to utilize it as a living or working space. 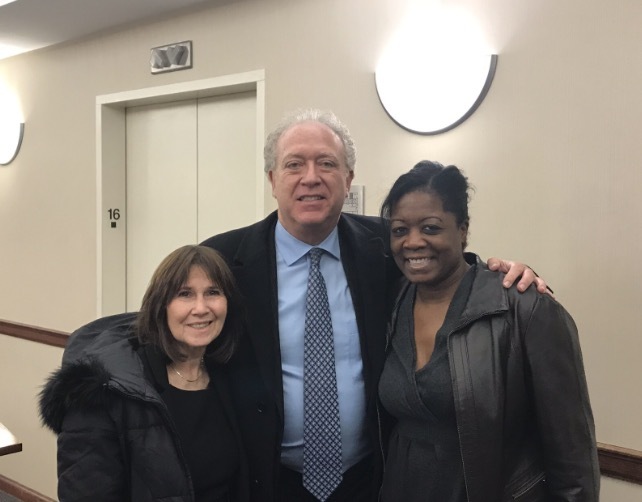 New York City Councilmember, Brad Lander, of the 39th District, including Park Slope and surrounding neighborhoods, was a policymaker who attended Thursday’s event. 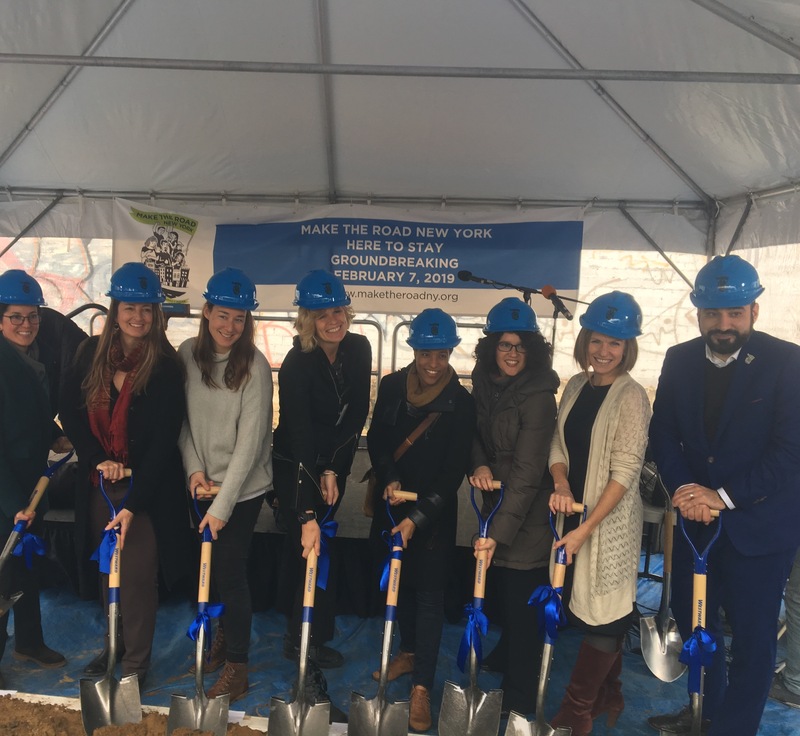 Lander, Mayor Bill de Blasio and other councilmembers supported a bill to create a three-year pilot program aimed at creating apartments in basements and cellars of homes in eastern Brooklyn. The administration reportedly has invested $11.7 million in the pilot program. Statistics show that in the East New York section of Brooklyn, 75 percent of basement apartments are being rented illegally. If the program turns out to be successful, hopes are that it can eventually expand to the rest of the city. Christie Peale, CEO and executive director of the Center for New York City Neighborhoods (CNYCN), expressed optimism in her closing remarks. She said she believes the city is taking steps in the right direction and is seriously trying to provide affordable housing options, as well as income possibilities, for homeowners in need. Dogs put their best paws forward Thursday night at the 16th annual New York pet fashion show, featuring the theme “masquerade ball for animal rescue,” at the Penn Top ballroom in Hotel Pennsylvania, Midtown Manhattan. The fashion show helps benefit the Mayor’s Alliance for NYC’s Animals. “The mayor’s office alliance is the beneficiary of the event. We’ve been with them now seven years,” said Gregg Oehler, founder and chairman of the pet fashion show. Tbe set-up for the Animal Masquerade Ball. Credit: Charlene Carlies. “The Mayor’s Alliance represents about 150 animal rescue groups and shelters, but it’s grown into the larger tri-state area,” Oehler said. “So, you will get some rescues that come from around the country to shelters in the tri-state area, and then those dogs are put up for adoption, because New York is so big. The show also features cats. This year there is a bearded lizard and even a dwarf miniature horse. “It’s a therapy horse but it’s the size of a mid-size dog. It’s pretty interesting,” Oelher said, marveling at the thought. 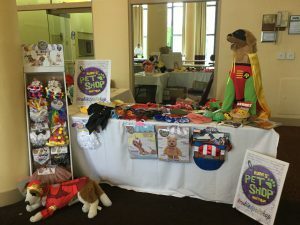 Oelher has been passionate about dogs for years, publishing some of the top pet magazines in the country, such as The New York Dog, The Hollywood Dog, Cesar’s Way, & Hampton’s Pet, among others. In 2003, Oelher launched The New York Dog. Someone on the team wanted to do a fashion show, as the magazine already had fashion-centered layouts to it, and Oelher wanted to also incorporate animal rescue into it. The first cover shoot of the premiere issue of the magazine featured co-chair and creative director Ada Nieves’ dogs, and the rest was history. The primary sponsor for this event is Frenchie’s Kitchen. Sara Morgan, the founder, prides herself on the pure ingredients used in her dog food. “The ingredients are made in the USA and sourced in the USA,” Morgan informed. “It’s made in a USDA plant, so you could actually eat it yourself.” She got the idea for her company when her sick dog, Romeo, couldn’t get better eating regular dog food. Morgan then went to a holistic vet and learned about food therapy. She strongly believes that you can heal your body through what you eat. Costumes for the show can take as long as six months to prepare. “You come up with the idea for an outfit, and some of these outfits can take months,” Oelher said. Just last year, a “phoenix rising” costume for the show took four designers four months to put together. That outfit alone was valued at $15,000. The runway shows for Thursday night were: Hollywood Dreams – from Hollywood to Bollywood; Angels & Demons Couture – Who’s been good and who’s been bad? International Masquerade Couture – What mask will you wear? and Best in Show – You could be crowned King and Queen. The show featured a Best in Costume award, in which a king and queen were crowned, as well as prizes and gifts. The message that Oelher wants to get through his pet fashion show is clear. “Adopt, foster, and volunteer,” he said with ease. With President Donald Trump’s most recent State of the Union address as a background – with its open hostility to Latin immigrants – Make the Road New York (MRNY) is helping New York showcase its immigrant residents, both documented and undocumented. immigrants in all five boroughs of New York City. 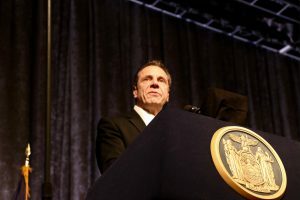 Governor Andrew Cuomo spoke about state and local taxes, the importance of taking charge of the MTA – and not pointing accusing fingers – at an Association for a Better New York gathering at the Hilton Hotel on Thursday. A critical issue the state is dealing with today, he said, is mass transit and congestion. “Navigating New York is becoming unbearable,” he said. The first step to fixing everything? Someone needs to be in charge. “There must be a name and a face who can be held accountable and it must be an elected official,” he said. The big concern always, of course, is where the money will come from. How will the state pay? Cuomo gave a few options, and among them were: President Trump will pay as “he has a lot of money, he’s nasty to NY, he should pay;” the rich should pay a lot; MTA rider fares should be raised 30 percent, the marijuana tax; tolls on out-of-state drivers; congestion pricing. Cuomo also spoke about was SALT, which refers to the State and Local Taxes. He said SALT can decimate the economy. Cuomo then touted his accomplishments: taxes are an all-time low since 1947; there are 8.2 million jobs; 3.9 percent unemployment, and a diversified economy. He received a lot of applause by people who seemed to be huge fans of his and fans of Amazon taking over Long Island City. 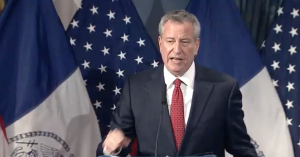 On Thursday, Mayor Bill de Blasio unveiled the city’s budget for the next fiscal year. The mayor made clear his uncertainty in the current economy, as for the first time in his mayoralty, he is requiring city agencies to cut their budgets. “We well may have to limit some of our investments or slow down some of our investments or in fact cut some programs and some investments outright,” he said. Mayor de Blasio at Thursday’s press conference. Despite the tough choices awaiting the city in the future, the budget has risen to $92.2 billion from last year’s $89 billion budget. De Blasio made it clear that despite cuts coming to city programs, some will remain untouched, most notably public safety. “We are the safest big city in America,” he said. Perhaps the most notable change in the budget will come in the form of $2.7 million being dedicated to the city’s buses. The plan is to coordinate traffic lights at 300 different intersections with the intention of making the city’s buses move 25 percent faster than they are currently. forced to finally decide what is most important for New York City.